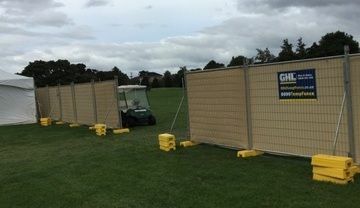 GHL TempFence is New Zealand's leading company for event crowd control barriers hire. 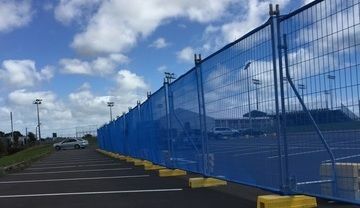 We're the market leader for temporary fencing hire and over the years we have provided temporary fencing for events requiring anything from 20 metres to more than 3000 metres of fencing. 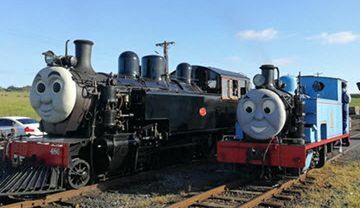 The range of events has included everything from school balls to major sporting events, and a whole variety of functions, parties, festivals, carnivals, concerts and exhibitions. A major part of the success of any event or function is ensuring the public, patrons and clients are kept safe. Our quality crowd control barriers (or bike rack, as it is often called), will safely manage visitors, pedestrians and vehicles. Also critical to any event is the Pack In and Pack out on a timely basis. GHL TempFence has both the resources and a can do professional crew that will work with you to set up and dismantle crowd control barriers On Time, Every Time to ensure everything is completed to your deadlines.